Lana can hardly remember what it's like to be free. After nine years as a captive on board a ship ruled by ruthless bounty hunters, sailing across Maris with no clear direction, she's desperate for something to change. 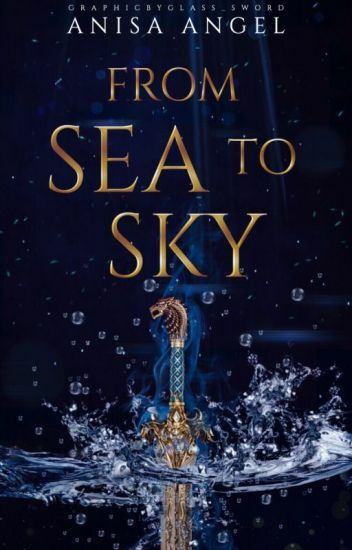 Then, as a boy and a new world full of dragons, adventure, and magic enter her life, everything changes, but nothing could prepare her for the danger that comes with her newfound liberation. Skye feels lost. He's the Dragon Prince, surrounded by his people and power, but after being shunned by his own father, he's all but alone. Then, suddenly, there's a girl, a prophecy, and a chance to finally prove that he's more than what his father thinks he is. In a time when wizards are hunted and killed, Kyra is gifted with a power she neither understands nor can control. What she doesn't know is that her power, and in turn, her destiny, is tied to the fate of the realm itself. But with so many conflicting thoughts and opinions, will she ever truly learn what it means to be the soul of magic? Book 1 in the 'Soul Of Magic' series. P.S Please remember to vote, comment and share with your friends. Any images used belong to their rightful owners. I don't own them. We were all born different with a destiny ahead that only we could conquer. Some of us were born to be leader, some teachers and some preachers. We all have a different soul made from the remains of starts, that created us. There are more than just one universe, in fact there are seven including earth land, we like to call them kingdoms. They all differ and yet without one, the balance would cease to exist causing a great shift in power and law. My name is Xylia Smith, thought I am not sure about the surname now. And I never asked - well maybe I did ask for my life to change, though it never predicted this. HIGHEST RANK #39 IN FANTASY. Book two of the Dragon Rider series. After the sudden attack on the compound, and the betrayal of my dearest friend we are forced into hiding as king Toban's army sweeps through the land. Aurora is missing and the new Dragon Riders are being taken hostage by Toban, and with the book gone I'm left in its place. Secrets are being exposed and families torn apart, and as the Kingdom falls around us alliances must be made with those who once defied us. The war I wished that would never happen has started. I must choose to save those around me, or myself. Lucina and her siblings have been locked in a cage for moon knows how long. They are weak and malnourished, they don't even know where they are or why they have been locked in here. What is the reason behind all of it? They have been tortured and drained almost completely of blood. So why do they need blood? This is my first story so it may be very very very bad, but I thank you all for give me a go! She was the most beautiful girl at the ball-and the most dangerous. After the murder of the Viridian prince at his engagement ball sparks a bloody revolution, pirate Ashen of Azure must decide where her loyalties lie. Will she condemn the royalty who drove her family from their home, or will she defend the innocents caught in the crossfire? A High fantasy retelling of Cinderella with a pirate twist, Shatter Like Glass is a story of family, loyalty, and good old-fashioned sword fights. "Formerly Titled When the Clock Strikes Midnight"
-Winner of @FairytaleCommunity 's FCRA's "Most Addictive"
In a land where magic is power and a king rules cruel and cunning, there dwells Faeries of an unnatural, mysterious darkness. And Raven Cathiair is one of them. A homeless sixteen-year-old on the streets of the Fae kingdom of Valdlion, Raven has known nothing more than a life of stealing, cheating, and a demand for retribution for the man who murdered her adoptive mother--the only person who had ever loved her. Her peculiar powers keep her alive beneath the noses of the ever-watchful royal guards who lurk around each corner. But when Raven's magic spirals out of control, she becomes guilty of the murder of a group of patrol guards. The iron-fisted king offers her one chance at saving her own life: she must become his spy and complete the series of tasks he gives her. If she succeeds, he will free her. If she fails, he will kill her. Before long, Raven finds herself entangled in the treacherous business of the royal palace. The king watches her at every turn. The Crown Prince has his own two-faced scheme, and the eldest princess knows more than anyone should. Soon, Raven's task becomes a game of lies and deceit, where one step in the wrong direction could be her end. But as clues come to an understanding and dark ambitions are revealed, the plot of life and death may put all Raven loves to doom.